"From Laughter to Memories" Solids comprises of the solid background papers that coordinate with this Collection. The floral embossing in them is rather pretty, so please don't miss out! 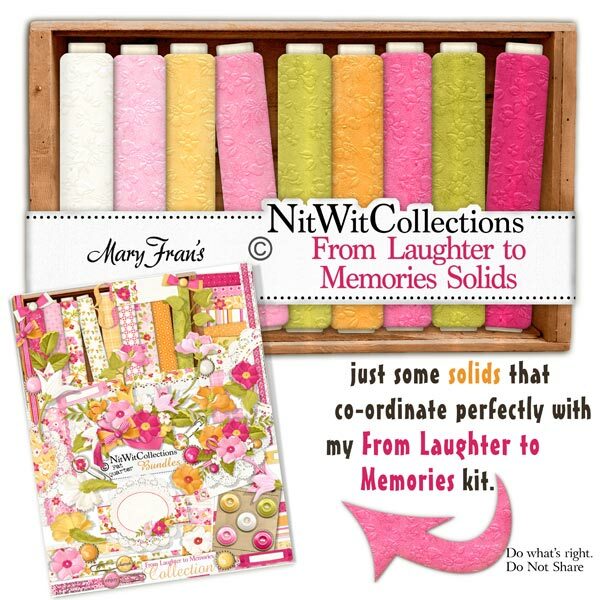 These solid digital papers are NOT included in the FQB "From Laughter to Memories" Collection so please don't miss out! 9 Solid digital background papers with a floral embossed pattern in them, that coordinate with my "From Laughter to Memories" Collection.